It took all day in the end ... but i really enjoyed being able to spend some serious time on an artwork. I've used colour pencils and I'd forgotten how much I enjoy using them ... how much control they give me. I really must do more with them. My face isn't exactly the same which is good ... I don't want to make an exact copy. I'd like to think it has some of me in it. I forgot ... I'm adding this to Brenda's MOST EXCELLENT blog party and maybe you have wandered over from there. I am enjoying that link up so much. I look at everyone because I can't seem to get enough journalling. And one of the things I've just noticed (yes I am soooo observant) is that a lot the blogs have step by step process photos. So I will do that with my next page. Anyway, I hope you enjoy having a look. I think you've strutted your stuff beautifully here Jenni, you have done incredible things with your pencils to create that hair, wow I can't stop looking at all the colour tones, blending and highlights you have created. Another fantastic double page. Thanks so much for joining me again on your own visual journey. I am so grateful for your blog party. I love seeing new work all the time and being able to share my pages too. That hair really was a surprise. Who knows ... I might start to enjoy drawing hair. 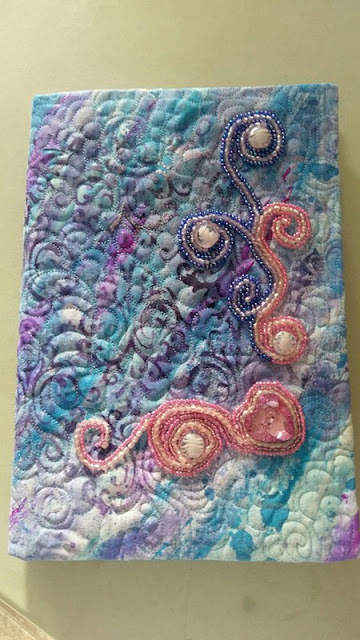 here from Krisha's blog. 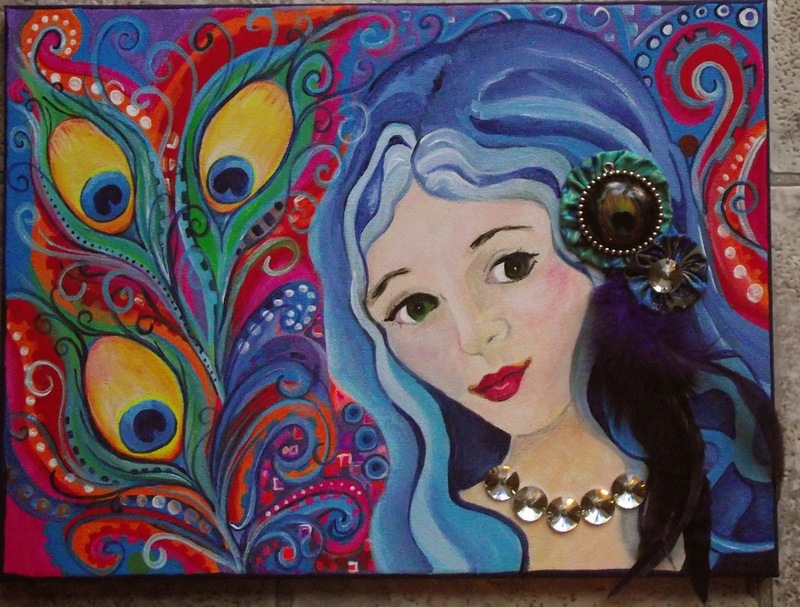 Your portrait is beautiful and I love those peacock feathers! Hi Linda, thank you so much for dropping in. It was so nice of Krishna to share my address. Once again I have to compliment you on your girl, another pretty little thing she is. 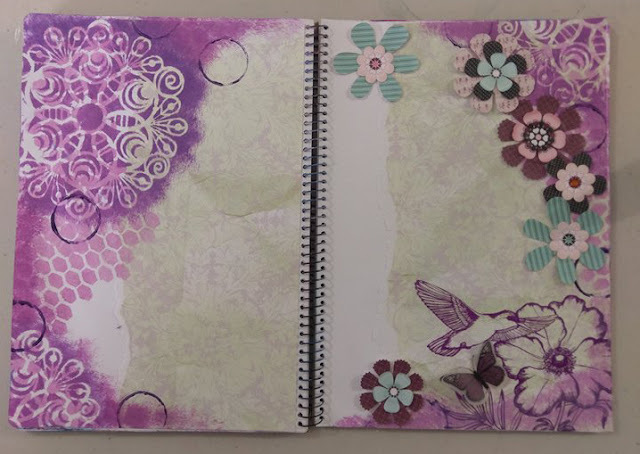 Your Journal pages must look gorgeous, you seem to know where you are going, I am all over the place with mine. 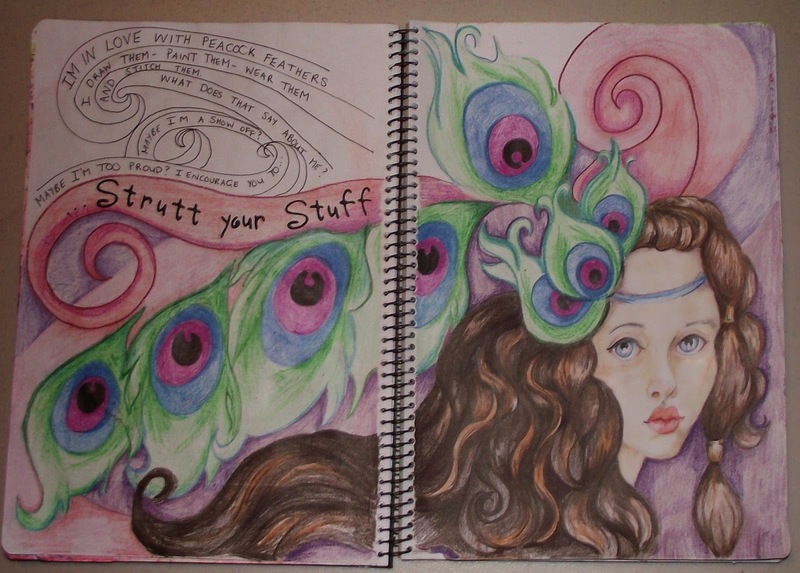 This is an amazing art journal page! The hair is so beautiful! Stunning!